Small update from World of Warships Supertest. 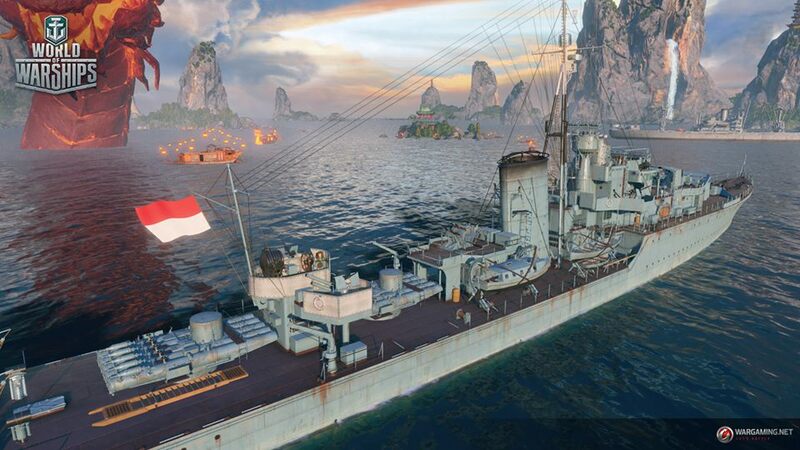 Wargaming is planning to add an option to switch to national naval flags for Pan-Asian and Commonwealth ships. For example, Gadjah Mada can use the Indonesian naval flag and Perth – the Australian. No plans to change any other nations flags with historical correct ones. Still, a nice addition where players from these nations will be able to have their flags on their favourite ships. for reall….no historical flags, oh so you can have soviet flag but cant have others, racists. I wouldn’t mind having the Rising Sun flag. It was just some butthurt whiny Korean crybabies who always complain seeing that flag. while i am mature enough to see historical emblems, i cant insult those who suffered from such emblems. Actually it was only the South Korean playerbase that demanded the Rising Sun flag be removed. The only thing that offended the Chinese was the ROC flag and WG mentioning Taiwan as an independent country when they announced Pan Asian DDs. They should do this long time ago since when Chinese whining about seeing ROC flag in WoWs in Steam. WG, instead, replaces all flags in Pan-Asian into Chinese Dragon flag on all server others than Steam cilent which also caused outrage among nations which their flags got replaced. And in case if you’re wondering; WG will never puts Third Reich and Rising Sun flag into their game, since it violates the Russian law. It’s still immoral to keep the Hammer & Sickle symbol in the game. Censor the Kriegsmarine flag but not the Soviet one? Double standards. Even though WG is actually Byelorussian, they’re still a part of CIS aka old Soviet states. so when is this going to be implemented in the game?